We provide value added services on whole range of NEC Server and Computer products. Virtual IT Partner concentrated specifically on NEC Fault tolerant, NEC Storage, and NEC FlexPower servers. 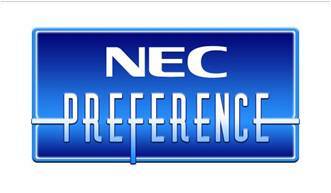 By becoming a certified NEC PREFERENCE PREMIUM Partner we can give you a deeper understanding for these unique NEC solutions. Our knowledge does not stop with NEC systems we continue advising our partners on every dimension of IT. We believe we can offer you value-added solutions for IT, allowing you to evaluate a wider range of products and services for your company. Please contact us for any additional information about our services and products and of course feel free to email us.